We have a history of delivering successful Charity of the Year partnerships - but we also know that many businesses like to support different charities through the year. and as such, we fully back any business that wants to help us in any way, even if it is just a one off! We receive positive feedback from our partners, as we work very closely with each one to ensure that they are supported with their fundraising initiatives. We will get involved and help provide ideas, resources and inspiration to engage your staff and help you reach your business and fundraising objectives! To keep it mutually beneficial (we are a charity but we don't want to take the mickey! ), we will give you as much recognition of your support as you deserve in a range of our marketing communications, website publicity and PR with national and regional media. 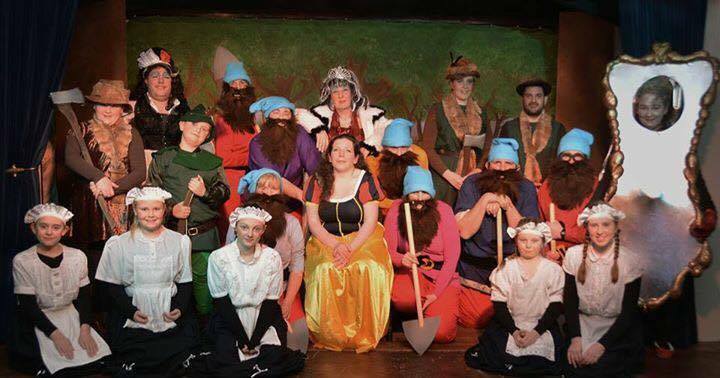 Simply send us an e-mail to express an interest - hq@petesdragons.org.uk . 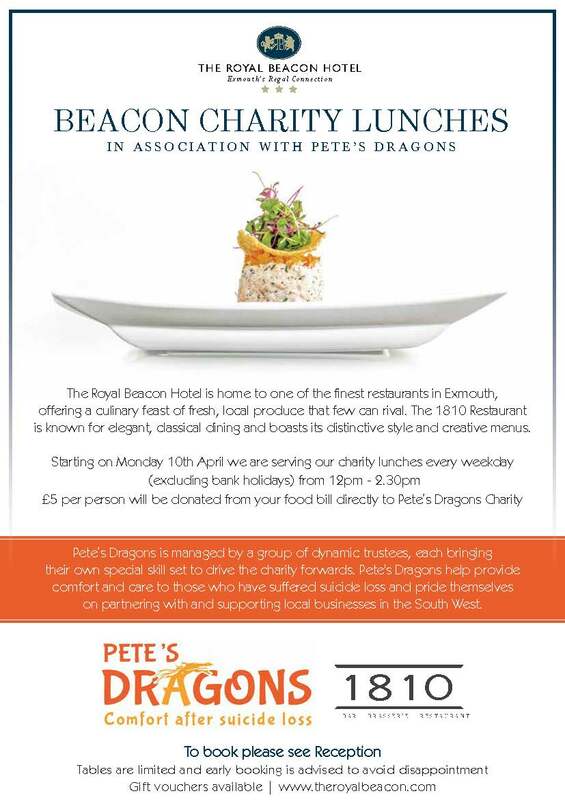 The Royal Beacon Hotel in Exmouth are showing their innovative spirit and are running a series of Charity lunches. £5 from every food bill is being donated to Pete's Dragons. A great way to get more people enjoying their amazing food, as well as helping charities in the local community. We are promoting their business as a thank you for their support. We could do the same for you, just get in touch to find out how! "We are the Exeter Office of Browne Jacobson Solicitors. Each of our offices choose a charity that they want to support for the year. The Exeter Office is a mixed practice office with an emphasis on the public sector and covering work for the NHS, Health, Employment, Regulatory work, Commercial and Education. We were drawn to Pete’s Dragons following the Country file slot. The office was given a choice of three charities to choose from and Pete’s Dragons was the chosen one. We like to support a local charity that reflects the needs in our local community. The office is looking to develop our connections with mental health given that it touches pretty much all the areas of work we cover. We are particularly aware of the importance of mental health in young people through our work and the devastating events that can occur. 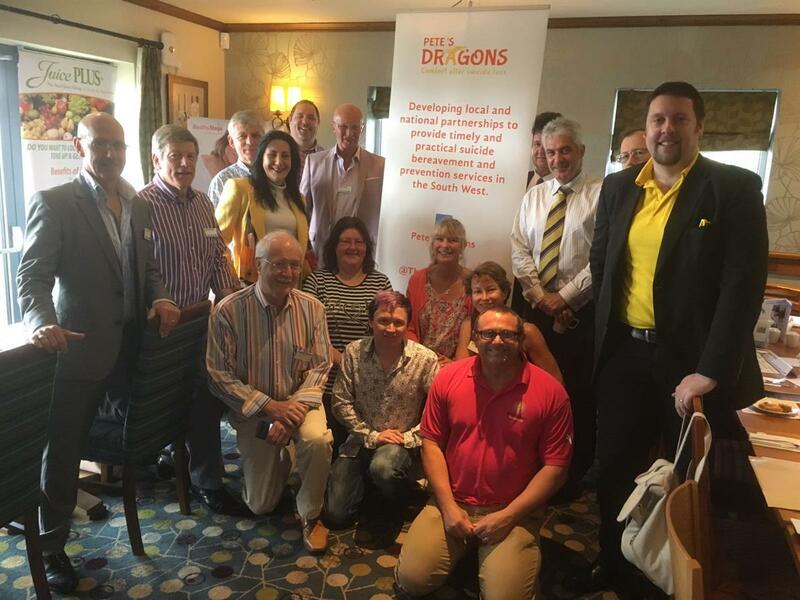 We look forward to being able to make a contribution to the work that Pete’s Dragons do across the county.". 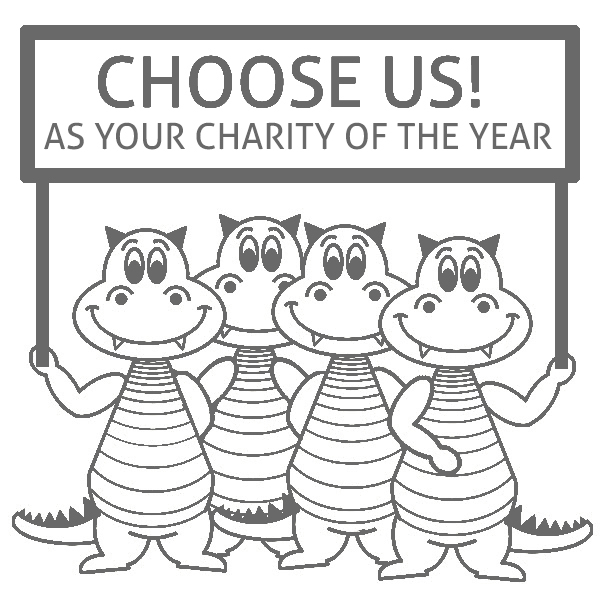 4Networking have chosen Pete's Dragons as their Charity of the Year for 2016. 4Networking is a joined up network of hundreds of Breakfast, Lunch and Evening groups organised by region and manged by a Regional Leader. We are working closely with the Exeter 4Network and are excite to see what fun we can get up to together over the coming months. Check out their website here for details of networking events in Exeter.